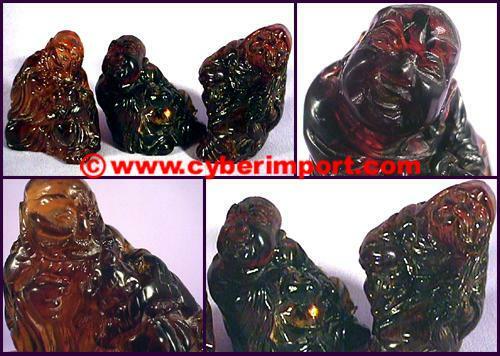 OUR ONLINE CATALOG and this amber religious religion buddha figurines carvings statuettes page serve as a cross-section of our China exports. Greater variety is available. Email us a photo example of what you seek. Export prices often change. All are re confirmed after your inquiry. You will be emailed a pro-forma invoice offer. 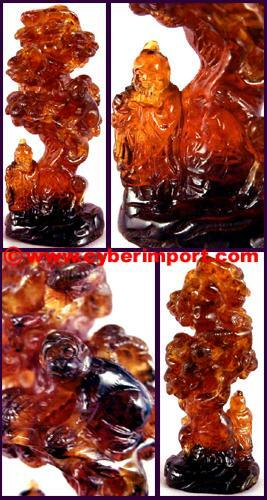 This carved amber piece features a seated Buddha. A small child sits at his left. The carving is from a master artist with whom I'm acquainted. 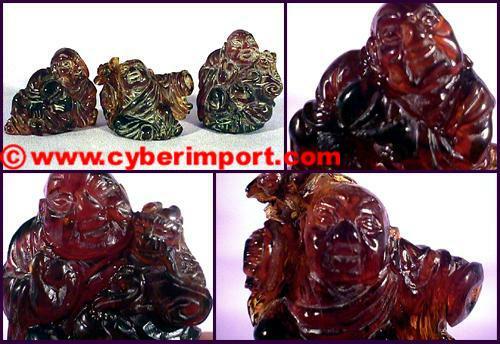 Genuine, jewelry grade, natural amber. 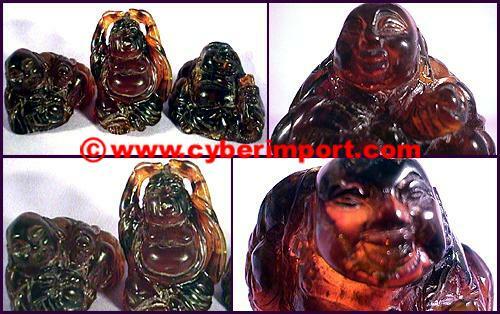 This is not plastic.When held to light the real translucent beauty of the amber shows up. Carving of this quality are rare. 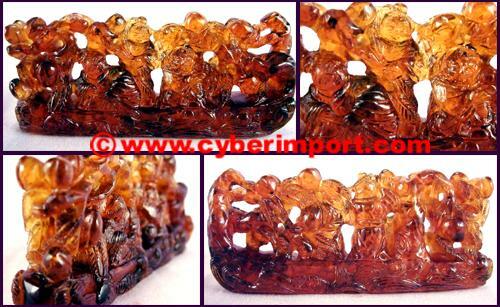 cvam001-b $47.57 5 22 2 1/8" x 1" x 1 5/8"
This is a genuine carved amber piece from China. It features FIVE seated Buddhas. They are attached to a carved base. 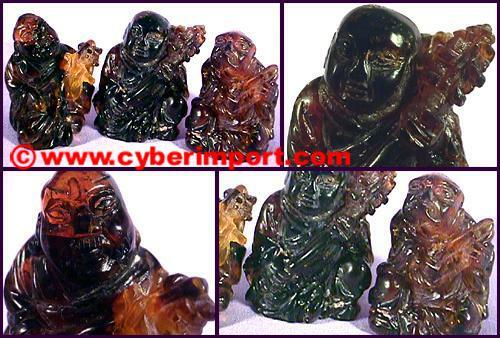 The base is NOT wood, but actually is a lower quality of black amber called "Jet"! 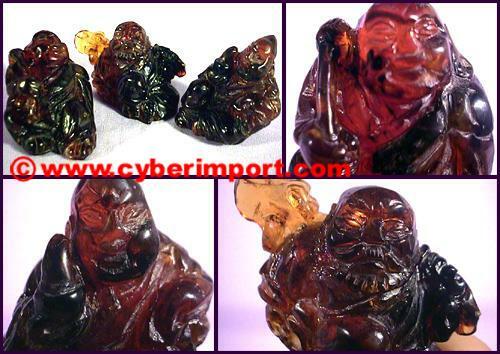 Genuine, jewelry grade, natural amber. 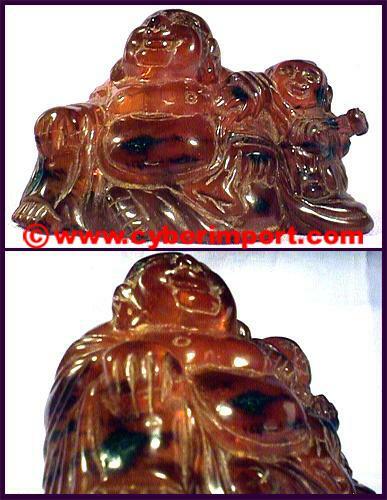 This is not plastic.When held to light the real translucent beauty of the amber shows up. Carving of this quality are rare. Exactly as pictured. Ships with deluxe "inner carton" which increases the weight, but necessary to protect this treasure. cvam002-b $55.48 5 602 3 1/2" x 2 7/16" x 3 1/2"
cvam002-1 $55.48 5 378 3 1/16" x 2 3/16" x 3"
cvam002-2 $55.48 5 500 3 5/16" x 3 1/8" x 3 3/8"
This carved amber features a seated Buddha. Set of three, all in slightly different positions. 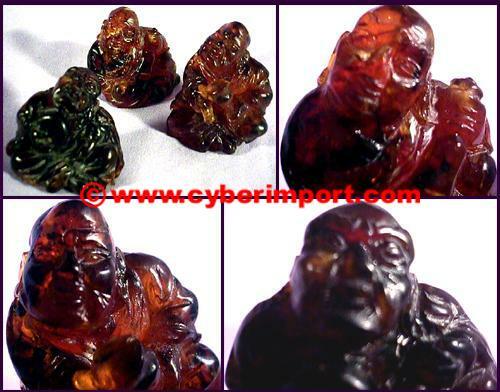 Genuine, jewelry grade, natural amber. 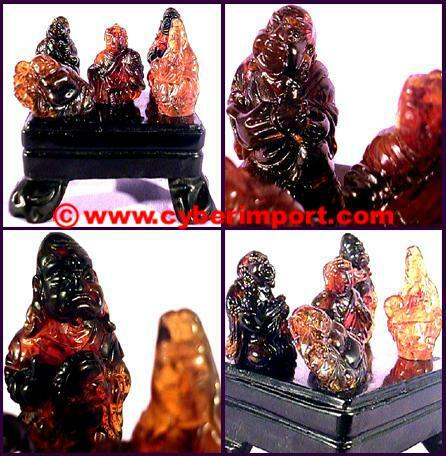 This is not plastic.When held to light the real translucent beauty of the amber shows up. Carving of this quality are rare. cvam003-1 $36.15 15 22 1 1/8" x 3/8" x 1 3/8"
cvam003-2 $36.15 15 30 1 1/8" x 5/8" x 1 1/4"
cvam003-3 $36.15 15 22 7/8" x 1/2" x 1 3/8"
cvam003-4 $36.15 15 24 1" x 3/4" x 1 3/8"
cvam003-5 $36.15 15 22 1 1/4" x 5/8" x 1 3/8"
cvam003-6 $36.15 15 26 1 1/8" x 5/8" x 1 1/2"
cvam004 $36.67 5 30 3 3/8"x3/4"x1 1/2"
cvam005 $36.67 5 36 1 1/2"x1 1/2"x3 1/4"
China Factory Minimum Quantity of these amber religious religion buddha figurines carvings statuettes items can be negotiated with factories. Dollar Amount is often more important to smaller factories than the quantity of each piece. 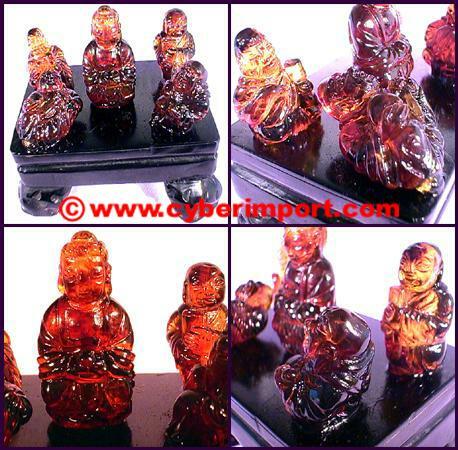 Minimum quantity often can be divided among several amber religious religion buddha figurines carvings statuettes or stock numbers. Please inquire with us about your specific needs for smaller quantities than those listed. Smaller quantity can result in a bit higher price. Ask us for a quote. 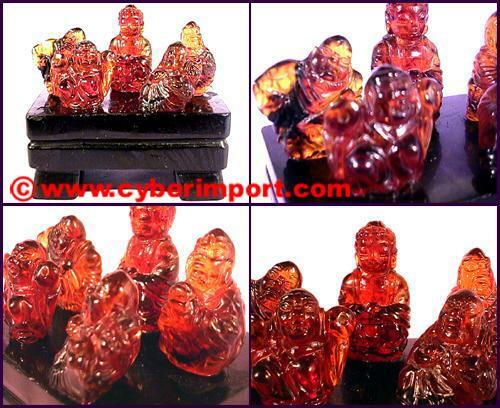 Custom Orders are possible with any of our amber religious religion buddha figurines carvings statuettes products. Send us a .jpg example of what you want. If we don't have it, we can get it.